The Villages of Citrus Hills, located in Hernando, is an ideal community for discerning buyers who desire luxurious living. Though construction of this development began in 1982, building continues today. Upon completion, this luxury community will boast approximately 10,000 spacious, high-end homes. The Villages of Citrus Hills contains several distinct neighborhoods, or "villages," which are commonly referred to as: Terra Vista of Citrus Hills, Brentwood of Citrus Hills, Canterbury Lakes of Citrus Hills, and Belmont Hills of Citrus Hills, among others. The Villages of Citrus Hills are open to all ages. Some neighborhoods are gated for those who prefer added security. All residents enjoy access to the multiple clubhouses found throughout Citrus Hills. The abundance of amenities provided throughout The Villages of Citrus Hills will keep even the most active of residents entertained. In addition to the amenities offered at multiple clubhouses, this community also boasts three 18-hole championship golf courses. The plentiful amenities are spread across multiple clubhouses and activity centers. 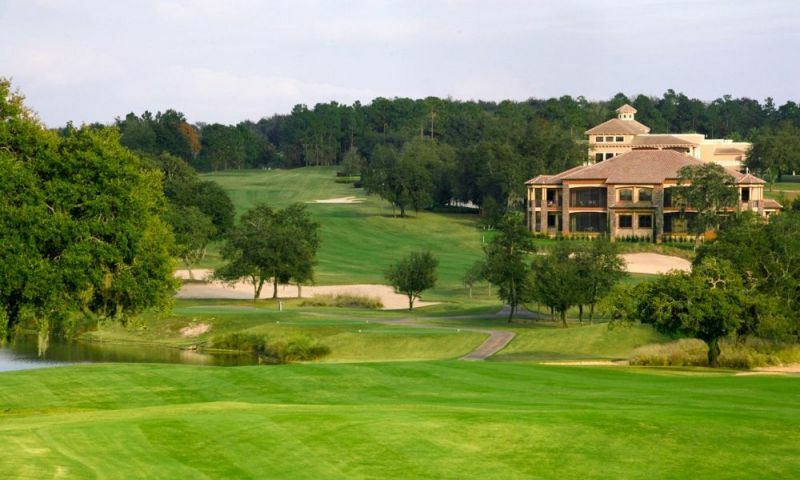 Set amidst Florida's gently rolling hillsides, three 18-hole championship golf courses provide their own unique elements. Skyview, the community's flagship course, offers challenging play spread over 7,142 yards of rolling hillside with elevations up to 250 feet above sea level. The Oaks 6,323 yard, par-70 course is set amid Florida's towering great oak trees, while The Meadows 5,885 yard course features beautiful open spaces. At the BellaVita Spa and Fitness Center, residents can make use of the amenities offered in a collection of smaller buildings. The state-of-the-art-fitness center has cardiovascular equipment and two racquetball courts. There are also yoga, aerobics and spin rooms, an indoor lap pool, whirlpool spa, saunas and steam rooms. A full-service day spa provides a variety of facials and massages, as well as hair and nail treatments. Restaurants, pro shops, and tennis courts are also available at the Skyview Clubhouse and Oaks and Meadows Clubhouse. The Skyview Clubhouse features a Har-Tru tennis facility, while the Oaks and Meadows Clubhouse offers a hard surface tennis center. For outdoor swimming and poolside fun, residents can visit either the Brentwood Clubhouse or the Belmont Hills outdoor pool and cabana. The Central Activity Center provides additional amenities including another outdoor pool, state-of-the-art fitness center, 400-seat community theatre, billiards, card room, media center, and pickleball, basketball, and bocce ball courts. Residents also have a tot lot, dog park and plenty of walking trails. Some neighborhoods require social memberships in order to use certain amenities. The opulent homes within The Villages of Citrus Hills are available as both traditional single-family homes and detached villas. The detached villas differ from single-family homes only in that they offer the advantage of being care-free. This difference is reflected in the monthly homeowners' association (HOA) fees for each type of home. Home styles and settings vary in each of Citrus Hills' neighborhoods. Some are set on large, open homesites, while others feature more secluded lots. The popular Terra Vista of Citrus Hills is a gated community that is set on a hillside with a spectacular view of Citrus County. Care-free single-family homes offer 1,666 to 3,061 square feet of living space. They have two or three bedrooms, a den, two to three-and-a-half bathrooms, and an attached two or two-and-a-half-car garage. These maintenance-free homes offer homeowners the luxury of not having to worry about exterior-home maintenance. Exterior home maintenance for these residences is the responsibility of the homeowner. They offer 2,182 to 3,952 square feet of living space. They have two or three bedrooms, two to four bathrooms, and an attached two or two-and-a-half-car garage. Citrus Hill's spacious, high-end homes are designed for luxurious living. Homeowners will appreciate the open floor plans, graciously sized rooms, high ceilings and artful exteriors. Many of Citrus Hills' two and three bedroom homes also include a den or library, full dining room, breakfast nook, and gourmet kitchen. Some models include courtyards or swimming pools, and all models include a lanai and attached garage. Homeowners of Citrus Hills enjoy spacious, high-end homes, as well as beautiful community landscaping and an exceptional country club environment. The abundant amenities found throughout The Villages of Citrus Hills meet residents' fitness, recreational, and social needs. In addition to the plentiful amenities, the community offers many social groups and classes designed to engage residents. A wide spectrum of interests are covered including astronomy, motorcycles, foreign language, performing arts, fishing, fitness, card games, and line dancing. Scheduled community events, parties, travel opportunities, and other entertainment provide residents with many social activities right within the Citrus Hills community. The community is set within Hernando, Florida in the center of Citrus County. This beautiful area is located near the gulf coast and lies just north of the Withlacoochee State Forest. Citrus County is 70 miles north of Tampa and 60 miles northwest of Orlando. With beautiful beaches, state parks, shopping, dining, and cultural attractions, there are plenty of recreational activities found within the surrounding areas. For daily conveniences, residents can stay within The Villages of Citrus Hills community. Many necessities are centrally located within Citrus Hills, including a Publix Grocery Store, Walgreens Pharmacy and Suntrust Bank. Fast food restaurants, a medical clinic, gas station and other conveniences are also located within the community, as well as a salon and day spa. With a wide variety of home designs, country club amenities and a central location in Hernando, Florida, homeowners will love to call The Villages of Citrus Hills their home. The following amenities are available to residents. Residents of the Brentwood neighborhood have access to their own private amenities. The following amenities are available to members. BellaVita Spa and Fitness Center - 45,000 Sq. Ft. There are plenty of activities available in The Villages of Citrus Hills. Here is a sample of some of the clubs, activities and classes offered here. These care-free single-family homes offer 1,666 to 3,061 square feet of living space. They have two or three bedrooms, a den, two to three-and-a-half bathrooms, and an attached two or two-and-a-half-car garage. These maintenance-free homes offer homeowners the luxury of not having to worry about exterior-home maintenance. These single-family homes offer 2,182 to 3,952 square feet of living space. They have two or three bedrooms, two to four bathrooms, and an attached two or two-and-a-half-car garage. Exterior-home maintenance for these residences is the responsibility of the homeowner. Terra Vista is a beautiful gated community! We have lived here for 5 years and it is like no other place in Citrus County. When we have visitors, they are amazed at the views and always remark on how they did not know this place was here. It is well-kept and pride of ownership is obvious. Unfortunately, the recent negative reviews are spurred on by a "Negative Nancy" or "Lousy Lorraine" who posts on a Neighborhood site and gets some of the older residents worked up about non existent problems. She knows nothing of our community and posts negative things to get attention, which is negatively affecting some people. Very dramatic and pretty entrance if you come in main gate. We looked at the new homes but found they are much more expensive then the resale homes and no better. Some haven't even been lived in yet! The different dues (there are several types that are mandatory) aren't too bad but I'm a little concerned with all the people who cant seem to sell their home if their wants/needs change. We've been living here for two years now and it has far exceeded our expectations. The amenities are first rate, easy to book tee times on any of the three golf courses, the helth centers have every type of machine thinkable, friendly neighbors, great for bike riding.....I can't say enough. We absolutely love it here. Those that are complaining about the new phase of development should have looked at the master plan. Empty lots get built on.... that's a fact of life. My wife and I had looked at a number of places to retire in Florida and when we discovered Citrus Hills it did'nt take us long to decide that this was the place for us.We are both excited about locating here and we soon will be moving their as ground was just broke for our Amherst model on the golf course in Brentwood.Can't wait. Bought here for the beautiful mature tree vistas between groupings of homes that distinguished this community from others in central Florida. Sadly, this is now coming to an end with vast acreages now being clear cut for back to back homes. Soon we will be just another "Vilages". The once beautiful Skyview golf course will soon be just another Florida "cow pasture" with homes bordering every fairway. This developer really had something unique, now going downhill quickly. Significant reservations about buying here. We bought a resale in the Villages of Citrus Hills just down the block ffrom the fantastic Tiki Bar and Clubhouse on the golf course for the Oaks and Meadows Golf Course. About 1 mile away lies Terra Vista where Skyview Golf Course and our 2 tennis centers are. We have every Amenity and Club you can think of. We are very close to the super Activity Center on Fenway where we have participated in several great shows at reasonable cost great seats and the best parking and no congestion. The1495. Citrus Hills Golf and Country Club fees a year are well worth it considering our taxes are less than 2000 per year on a 5br 3bath 2car pool home on over .55 acres. It is quiet and serene with great neighbors. Plus POA fees are only 75 per year. Fantastic. Resales are great because you can get a nearly new home at near 65% of the cost of new. We just love it here. 5 stars. I would love to move. I bought here 4 years ago caught up in the hype that they so expertly do here. I am now just another of many residents who overpaid and are stuck in the endless changes that ruin my property values while putting money into theirs. We bought in an area that was surrounded by trees on the golf course with a view of the lake and fountain. We paid a premium for this lot thinking that would would always have nature and the sky. Well that has all but been taken away from us. The trees have been cut down (we were told that that would not happen in our lifetime, if at all) They are allowing people to build so that our view of the lake fountain and sky even is obliterated. And now we find out they will be putting in another sub-division across from us on the golf course and removing (clear cutting) all of the trees there. It is just another tract home in a sub-division with very high POA's and membership fees. Go somewhere where your heart won't be broken. Generally speaking, the developer has lost his passion for his gem. Management is not responsive to resident concerns for lax security controls, poor grounds keeping, and other exalted features at time of sales presentations. TERRA VISTA IS A FANTASTIC PLACE TO LIVE. MOVED HERE IN MID-MAY AND WE LOVE IT! GREAT PEOPLE AND GREAT FACILITIES. I NOW KNOW WHAT THEY MEAN BY ACTIVE LIFESTYLE RETIREMENT. We fell in love with Citrus Hills the first time we visited. Choosing our lot and customizing our new home was a smooth and exciting process. The most impressive thing we found was that all the people involved in this venture were extremely knowledgeable, helpful and nice. After extensive research and looking at 50+ communities in Texas, Arizona, California and all over Florida, I found Citrus Hills. There are many reasons that it was obvious that this is the best retirement situation that I have found. Some of these reasons include homes that do not all look alike, rolling hills in central Florida, rivers for fishing and the nearby Gulf. Also, the proximity of Tampa, Orlando, Ocala and Gainesville for shopping, university sports and cultural events as well as excellent medical availability make this ideal. Low taxes, and reasonable amenity fees are also very attractive. From the moment we entered Citrus Hills we knew that we had found a special place. It is not only a beautiful community but offers a large selection of beautiful homes and a multitude of amenities, not to mention the surrounding lakes, rivers and nearby Gulf of Mexico. Terra Vista has the flavor of North Carolina with rolling hills and the true feeling of 'community' in sunny Florida. We enjoyed our visit and found the homes to be some of the best built that we have ever seen. My father was a home builder in Atlanta for years and I know he would be impressed. We swam with the manatees during our visit. My grandson was amazed and I know he will remember this 4-ever. My wife and I recently returned from a month long trip looking at different areas between Hilton Head and Naples when we found the Villages of Citrus Hills. I have to say, an absolutely outstanding property with more to offer that we both enjoyed then any of the other locations we looked at. We are looking forward to our return visit next month to choose our new home and must add...of the communities and many staff members at different locations we've experienced over the last month or sincerest thank you to the staff for their outstanding service at the Villages...by far the most attentive and professional we've experienced. 55places.com is not affiliated with the developer(s) or homeowners association of The Villages of Citrus Hills. The information you submit is distributed to a 55places.com Partner Agent, who is a licensed real estate agent. The information regarding The Villages of Citrus Hills has not been verified or approved by the developer or homeowners association. Please verify all information prior to purchasing. 55places.com is not responsible for any errors regarding the information displayed on this website.